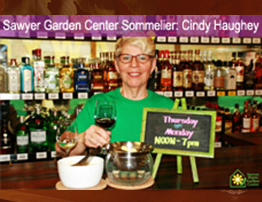 Sawyer Garden Center will hold wine tastings at the store location. We hope you'll join us in this serene environment for great conversation and award-winning wines. Check out our location map for help finding us. Be sure to sign up to our email list for other wine tasting events that will be coming soon.